iRobot Braava 320 Vs 380t - Which Should You Buy? 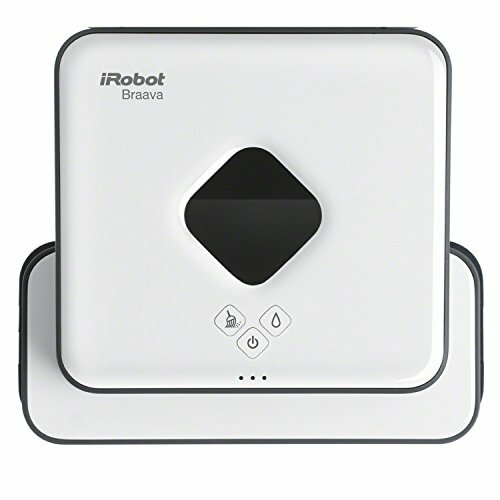 If you are interested in getting an iRobota Braava for essentially robotic mopping around your home, however are unsure as to whether getting (specifically) the 380t over the 320 is worth the extra cash -- then this comparison account will be able to help you out. Below, we highlight both their differences as well as their similarities amongst specifications and features -- ultimately determining from the two, which offers you the most overall value relative to your cleaning preferences. What is the iRobot Braava? 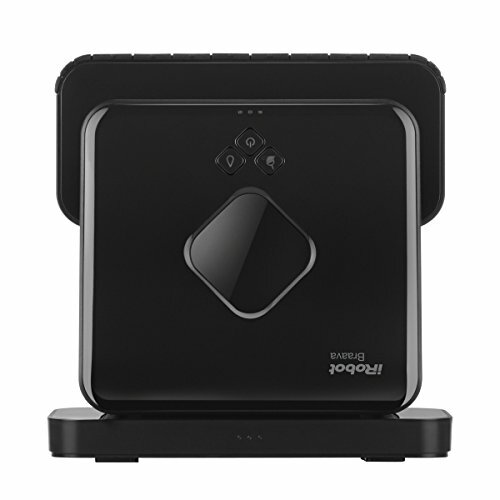 Just to give a brief overview of what the Braava is: it is basically a practical robotic cleaning sweeper & mopper (depending on which mode you set it on) and then simply goes around your hard-flooring with a specialised microfiber cleaning cloth collecting dirt & debris and wiping away stains & grime. Saving you all the hassle & time of cleaning your hard floors yourself. They both utilise a GPS like navigation system - NorthStar - so the robot knows its precise location on its cleaning map (which is basically your floor -- having located its perimeter & obstacles), meaning it knows which areas it has covered (& needs to be covered) as well as which particular areas (e.g. stairs, rugs etc.) to avoid -- all to allow for further efficient cleaning. Further note: the 380 is fitted with an advanced version, which enables it do room-to-room cleaning -- so once it has finished with one room it can just go on to the next. All you need to do is simply place the additional 'cubes' (which transmit the signals to the bot) in the rooms you want cleaning. Braava 320: Dry Sweep - 800 Square ft | Mopping Coverage - 250 Square ft.
Braava 380t: Dry Sweep - 1,000 Square ft | Mopping Coverage - 350 Square ft. They also comes with a slight difference in the cleaning range of the two Braavas -- with the 380 being able to cover an extra 200 ft on Dry mode & 100 square ft in mop mode. So, if your house is on the larger side, then investing in the 380 would give you a better cleaning experience overall, As mentioned they use a microfiber cleaning wipe (both wet & dry) which iRobot compare to use like a 'swiffer' -- and you should also note that the 380t gets an additional microfiber mopping cloth (320: 2 sweeping cloths & 1 mopping cloth & 380: 2 sweeping cloths & 2 mopping cloths). Once used, you will have to buy them to replace however. As you can see the 380t also offers you up to 25% more run time from a single charge than that of the Brava (again more ideal for the larger home & cleaning in general). Moreover, it also comes with a turbo charge cradle, which means it also has a shorter total charge time (of 'dead' to 'full charge') than that of the 320 as well. There are also some distinct differences in cleaning operations for instance the 380t is fitted with a detachable reservoir pad that can be filled and can simply emptied across a sink. Hence, you can use a specialised cleaning solutions or water throughout the entire cycle -- where the 380 continuously dampens the microdiber cloth with new fluid to distribute across the floor. What they both share though, is the 'PerfectEdge technology' which basically allows the Braava to get right along the side of walls & skirting (baseboards) to allow for a complete clean -- allowing it to get to dirt you might have missed. Moreover, you should also note that both are suitable for pet hair pick up as well. Both are (as you can see) compact this then allows the iRobot Braavas to be able to fit under overhanging obstacles as well under neath furniture (e.g. high raised sofas, tables, cabinets etc.). Moreover, they are obviously easy enough to carry & store away once their job is done. Conclusion: Should You Buy the iRobot Braava 320 or the 380t? Now, it has been made distinctly clear from the two which is the better cleaning robot model -- the 380t -- where an improvement has been made in almost every important aspect in robotic cleaning (e.g. the cleaning performance, the run time, the charge time, the navigation system, the cleaning system etc.) -- and with a difference of just $100 between their two prices (at the time of writing the 320: $199.99 & the 380t: $299.99), I think it is clear that the 380t is definitely more than worth that bit extra -- especially if you are after a proper mopping bot to carry out a good sufficient job (and as said previously, if your home is on the 'larger' side). Please do let me know which one you choose to buy and why? Also, if you have any questions, comments or concerns regarding either the comparison article 'iRoboto Braava 320 vs 380' or about either model specifically then do not hesitate to make them in the comments section (that you will find just below) and we will be sure to get back to you as soon as possible. Thanks a lot for a quality comparison. This is exactly what I've looked for! Now I'd made a choice.